If content is king, then video content is truly the king of kings. We are living in an age when the most engaging media has to be easily accessible, personalised, and visually appealing – and video ticks all of these boxes. When creating searchable content, often a great deal of importance is placed on shaping content to meet the demands of Google. But Youtube is, in fact, the world’s second most popular search engine, and content should also be produced with the influence of this platform in mind. Plus, Google loves video too. A survey carried out by AimClear found that video listings within Google search results experience a 41 percent higher click-through rate than their plain-text neighbours. If you are serious about SEO, videos need to form an integral part of your SEO roadmap and SEO strategy. We will work with the images that you already possess to create original slideshow videos that gain traction with your core audience. Alternatively we can work with any existing videos you have created for your business marketing. We will set up your business with professional video accounts on the most important video hosting platforms such as Youtube and Vimeo. We will publish your videos across your video accounts, and also create optimised description copy to ensure that your video content is highly searchable and reaches the optimum number of people. We will embed your original video content across relevant places on your website for increased levels of engagement. Start growing your website profit today! 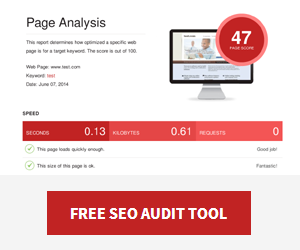 Get an Instant SEO Audit! Chris Finnegan, founder of SEO Copilot has been involved in the SEO industry since 2007. As a systems engineer turned local marketing expert Chris combines the technical aspects of search engine optimisation with local marketing strategies to grow your website leads and sales. A 'nature geek' Chris can be found gardening and bushwalking when away from the desk. Connect with Chris on Twitter or join our mail list for the latest SEO news, tips and special offers. 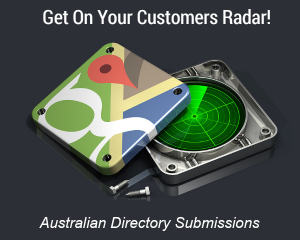 Have questions about search engine optimisation or how our local SEO services can help you? How about a FREE SEO consultation to get you started! SEO Copilot is a recognised leader in Local SEO services with Chris Finnegan, founder of SEO Copilot in the SEO industry since 2007. With over 10 years experience in local area marketing, the SEO Copilot team deliver affordable SEO packages that get results. We specialise in SEO for local services & multi location businesses. SEO Copilot services are very professional and helpful. Our security business is very happy with the results of our website and the ongoing support from Chris. Thank you Chris and staff for your SEO and website improvements to date plus the handy tips. Chris is the go to guy when it comes to Local SEO. His services are affordable, thorough and honest. I definitely recommend him.